Active Placer: 289 – Abandoned Placer: 1,295 – Active Lode: 2,672 – Abandoned Lode: N/A. 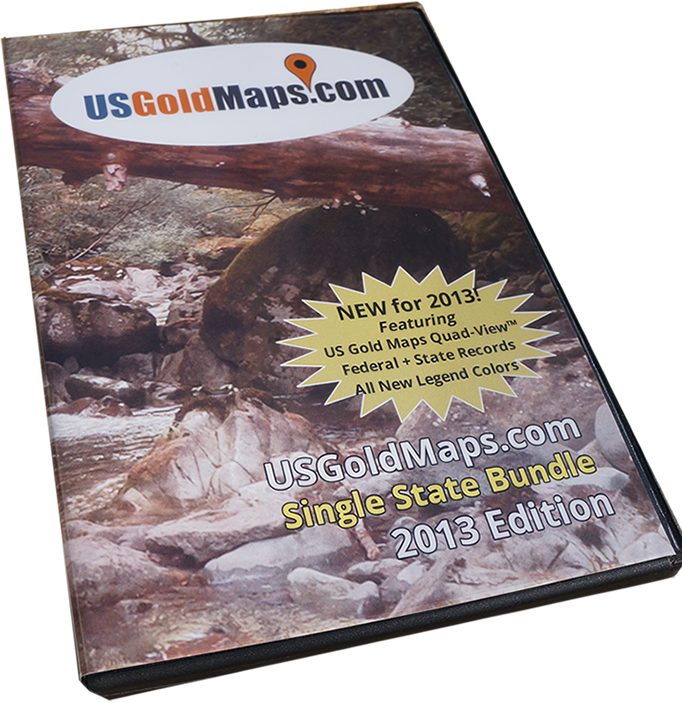 Why buy our Washington Gold Map? Where to find gold is a question that has boggled the most educated men for ages. The burden has been lifted greatly. With modern technology and some savvy engineers, we bring you the most up to date, complete and exciting gold map on the market today. 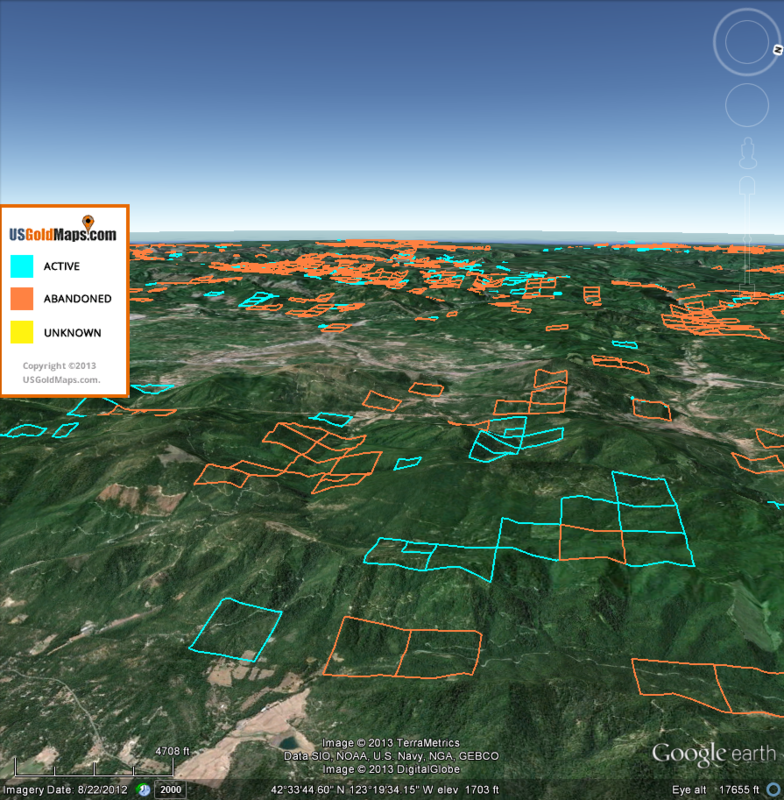 Our gold maps will give you some insight into areas where gold might be found. We meticulously process millions of Federal and State mineral mining claim records. The data provided by the States is not always complete or perfectly accurate. But we’ve developed a system to cross-check the data and verify records information are exact as possible. 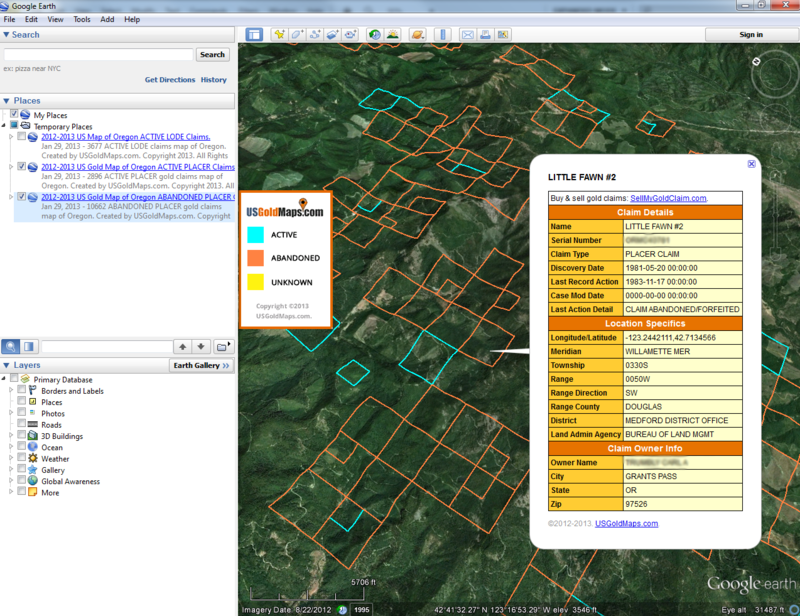 Nearly 90% of all US placer claims are gold claims, and a large percentage of lode claims are also gold claims. Our map information indicates all of this data were provided by the data sources. 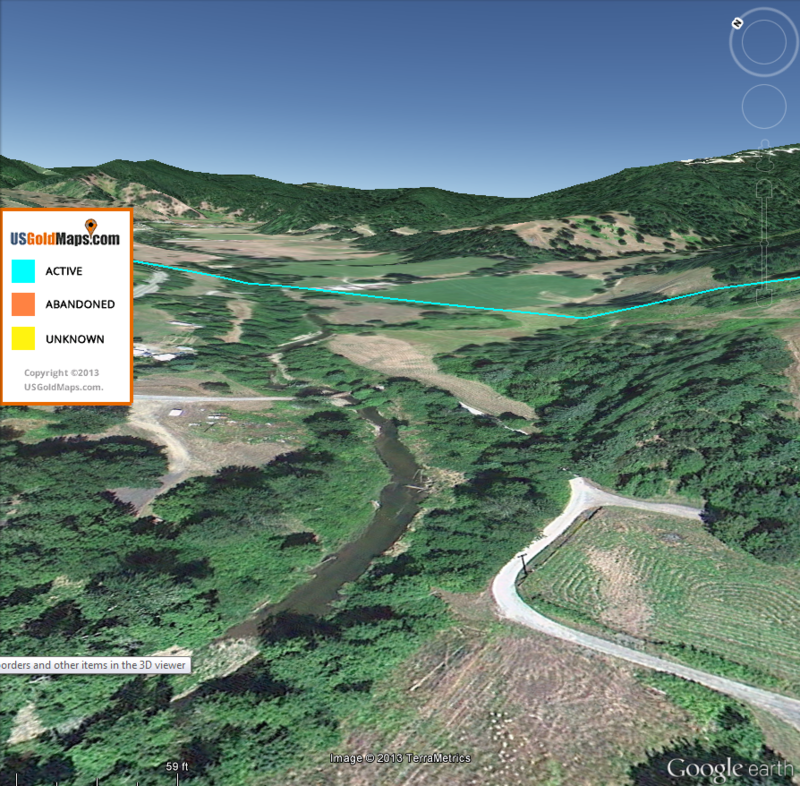 Our maps are simple to use and are 100% Google Earth™ compatible. 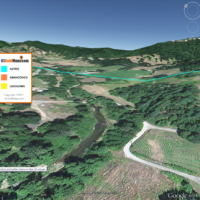 We’ve updated the colors in our new maps for better overlay visibility when using other inherent Google Earth™ State and Federal land location layers. Instant Download. 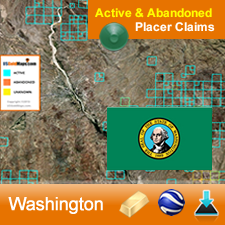 All of our Active & Abandoned Placer & Lode Gold Claims Maps are available for instant download. Begin finding active and abandoned gold claims in minutes! 100% Google Earth™ Compatible. 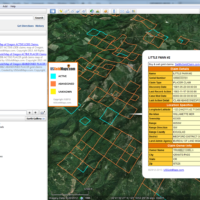 Our maps are designed and engineered for the most popular geological research tool in the world! Browse our gold claim and mine collections with ease using this free tool. Prospect for gold more efficiently. 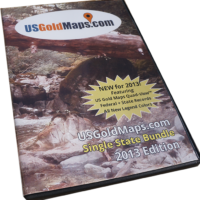 Get better use out of your mining equipment with our gold maps. 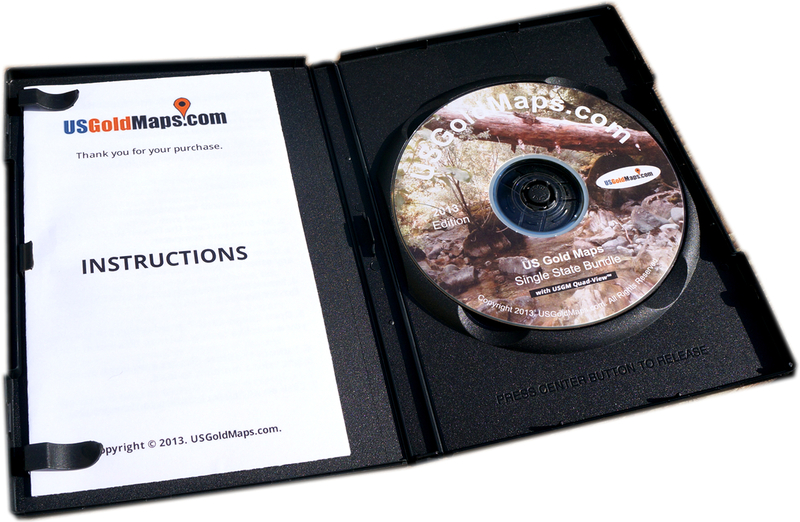 Simplify your gold prospecting. 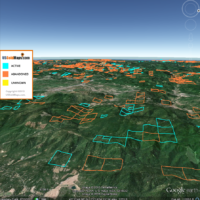 Our maps provide detailed insight into active and abandoned gold mines and claims. Your gold prospecting adventures can be enhanced and simplified by using the data in our maps. 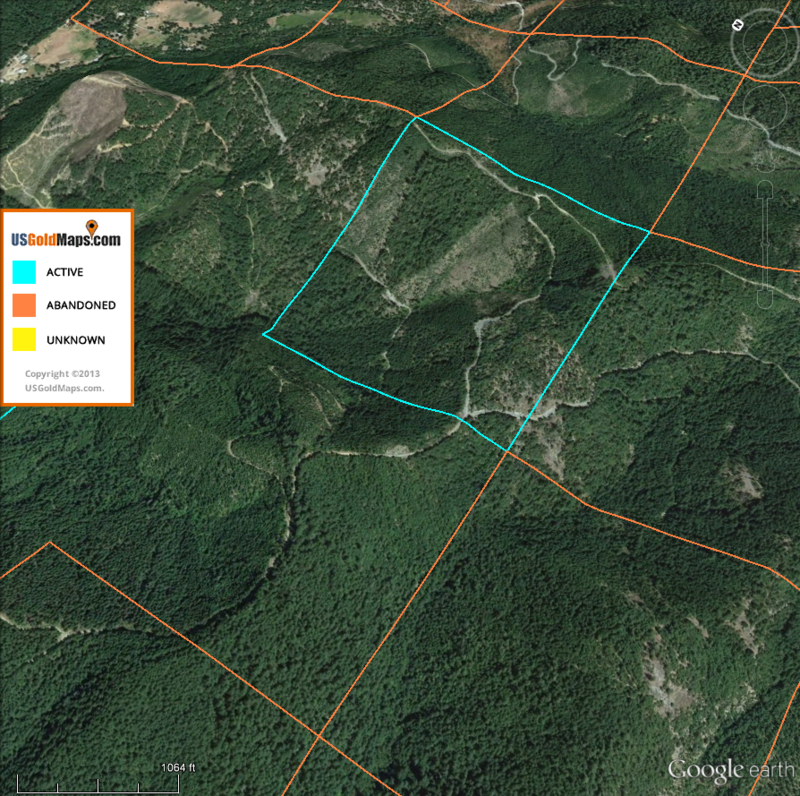 Loaded with mining claim details. Complete location details, coordinates, State land info, State management info, ownership of each claim and lots more! Save tons of money researching gold claims. No need to waste tons of time driving around wasting valuable resources, gas and time. 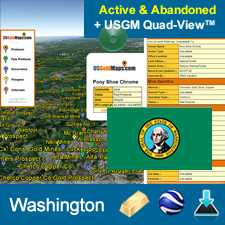 Locate and determine areas for potential gold claim ventures while in bed! Simply loads of fun! Our maps are just fun and useful for any gold claim entertainment adventure.